Family Volley: If I Could Take A Trip...This is Where I Would Go. If I Could Take A Trip...This is Where I Would Go. The Holiday's are a magical time of year. In Utah it is also a cold time of year. Despite my wishing and hoping, the next few months are going to be too cold for comfort. The colder it gets, the more I think about taking a vacation. By January, I dream of beaches and sunshine. I grew up in San Diego and it will always be my destination of choice. In honor of the snow we have had all week, here is my ideal San Diego Vacation. I am hoping that by pretending, I will warm up a bit. Even if it is virtually. Where to Stay: If you are taking a family to Southern CA (heck, even if you are going by yourself), my very favorite place to stay is The La Jolla Beach and Tennis Club. You might remember the New Years trip we took there a few years ago. I grew up just a few miles from this magical place. 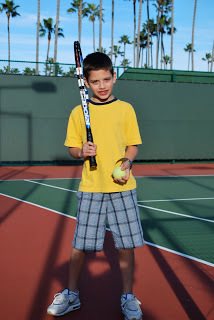 The La Jolla Beach and Tennis Club is very family friendly. The Club is just 15 minutes from the airpot. Your Room is ON THE BEACH. 10 steps or less and you are there. No need to load the car and drive anywhere. The Club is on La Jolla Shores, known as one of the shallowest and most family friendly beaches in California. The Club has its very own beach. Every morning it is cleared of seaweed and groomed. Ready and waiting for you. They set up your beach chairs and provide all the towels you need. When you are done, they take care of the towels and have all you need ready the next time you want to hit the beach. The swimming pool is heated. They have everything you need on site. From restaurants to gift shops. Including tennis courts, ping pong, a playground, library, spa, work out room, and even an on-site par 3 golf course. The club will take care of anything and everything you could possibly need. Want a bond fire on the beach. Just call and tell them what time you want it ready. Need a ride into town to catch a movie, they will drive you. Doesn't matter the request, The La Jolla Beach and Tennis Club can and will accommodate. My only suggestion... if you are interested in staying at The La Jolla Beach and Tennis Club, you need to book about a year in advance, depending on what month of the year you want to visit. La Jolla is my favorite place to stay. If you don't want so much sand in your vacation, I suggest The Hotel Parisi, or The La Valencia (the pink hotel). Both are fantastic. This list could go on forever and EVER and ever. La Jolla has so many good restaurants I wouldn't know where to start. But just to name a few. If you are going to be in La Jolla you have to eat Mexican at Alfonso's. Get the Appetizer tray with shrimp. It will feed a small army. (You can thank me later). You will dream about Alfonso's until you can go back. Cafe Japengo is Asian Fusion and has fantastic sushi. I recommend the 10 ingredient fried rice. For breakfast, be sure you eat at Harry's Coffee Shop. It is a staple in the community. We have been eating there since we were kids. Best breakfast in town. The Seafood Buffet at The La Valencia is a little bit of Heaven. Notoriously close to lots of attractions, families love to go to Sea World, the famous San Diego Zoo, Seaport Village, Legoland, Aquariums, LDS San Diego Temple, and Museums. Not to mention Disneyland which is a quick hour and 20 minute drive. The malls are amazing and if you are looking for night life, The Gas Lamp district will suite your fancy. We aren't too big on the amusement parks or the party scene. SO.. we like to spend time on the beach. That keeps us entertained for hours. Including the tide pools that aren't far from the Beach and Tennis Club. We also love to walk and window shop Prospect. While on Prospect you have to visit Geppettos. It is the best toy store ever. Don't expect FAO Schwartz. It is a small quaint store that packs a BIG punch. Packed to the brim, it carries all the best and the classics when it comes to games and toys for children. Just typing this is making me San Diego sick. Whether you are familiar with your vacation destination, or traveling somewhere new, there is a great website called Gogobot that can help you plan your trip. Gogobot is a social travel site that launched in 2010. The company has racked up accolades including being named one of Time's top sites of 2011 and winner of the 2010 Crunchie award for Best Design. Gogobot allows you to tap into the knowledge of your friends when planning a trip anywhere. You can find like-minded travelers and inspiration for your next vacation, creating easy-to-use wish lists you can return to again and again. So Heather...I was in your class at BYU a couple years ago and just realized I still have your blog on here! Anywho, loved your class, loved you, and loved this post. My husband and I just moved to San Diego in August - he's in law school at Thomas Jefferson - and I've been looking for an insider's alike view. THANKS for the info. I have fond memories of La Jolla as we had getaways there as I was growing up. These are only 4 straightforward necessities which can be handled calm. Individuals require not be fretted over their FICO assessment. Advances offered at such brief time interims don't require credit rate checking.